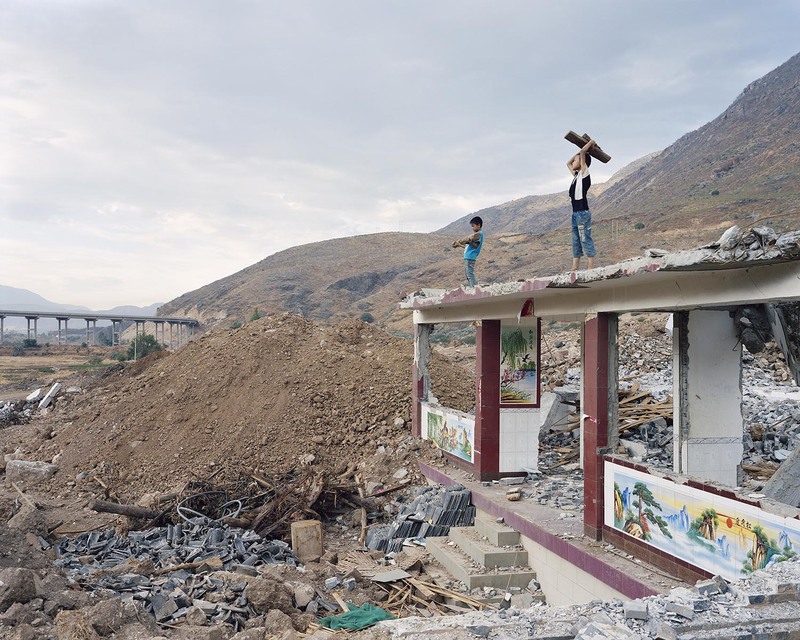 The concept for Mother River, Yan Preston’s four year photographic study, was put in place once she came to live in Yorkshire, England and was thinking about her motherland, China. Surrounded by other people's images of the Yangtze River, she formulated a way that would be unique to her vision. The plan was to photograph, with a large plate camera, 63 Y points which correlate to precisely 100 kilometre points along the Yangtze river, making up an epic journey of 6.320 km across China. 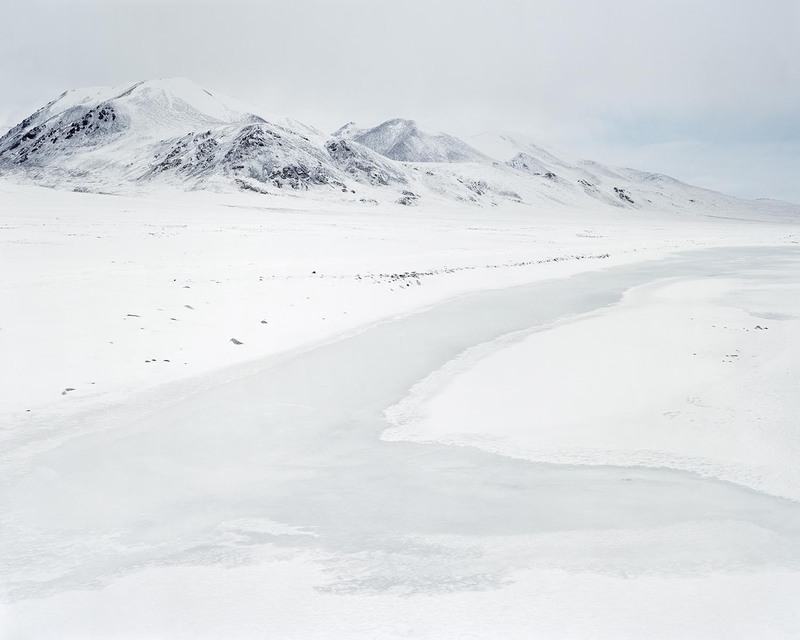 Her vision of China, from the snow plains of Tibet to the distant ocean is presented in a touring photographic exhibition, part-curated by World Photographic Academy member, Zelda Cheatle, along with some film and objects from the expedition. She says, “There is no need to be sentimental about things. The past is surely as complicated as the present, so there is no need for nostalgia neither.” We spoke to her to find out more. The distance and differences between China and UK were crucial for me to start looking at China in a new way. The physical distance made me realise that I was actually ‘Chinese’. Such realisation came with the ‘Chinese’ landscapes in memories and imaginations. 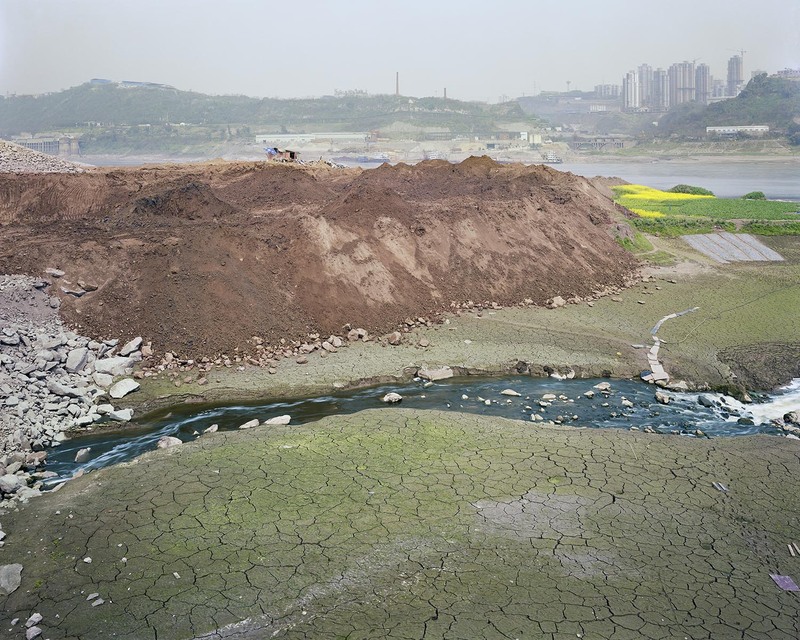 When I returned to China for the Yangtze project, its real landscapes did not match my expectation. This proposed a question which took me two years to answer. But it was the difference between the two places that was the real catalyst. To put it in an over generalisation, the UK is in a post-industrial era, natural landscapes have been thoroughly reshaped by culture. But in China this reshaping is current and with a lot of obvious problems. Such differences made me re-consider China’s urge for development, which I had taken for granted before leaving China. Thinking about the two countries together, I realised that I could look at China’s current state on a historical level. This includes human history and natural history. How much sentimentality and nostalgia can be found in the images? By the time I committed to the Y-point system, I had decided to photograph humanity with the backdrop of a mighty river. I also wanted to avoid the obvious cultural references such as the Chinese traditional landscape paintings, which come with a lot of baggage. So I had some rules for the shooting: no ruins, no pollution, no misty Shanshui style images, maybe even no obvious landmarks (because they too come with a lot of baggage.) There is no need to be sentimental about things. The past is surely as complicated as the present, so there is no need for nostalgia neither. I think I followed my own rules fairly successfully most of the time. But occasionally there would be some slippage. For example, Y1 might be too beautiful? Y25 might have slight degree of sentimentality? For me ‘Mother River’ is unique because of its successful combination of expansive, modern landscape images and its inclusion of humanity and peoples. What was your initial idea for the aesthetics of the images themselves, compared to how they have turned out? I’m very happy with that particular reading of ‘Mother River’. The aesthetics was always the most difficult one. My first principle was to avoid the ‘sublime’ because it could potentially place nature and culture in binary. I also wanted to avoid the over-beautiful. Because excessive beauty can possibly block other readings. Robert Adams has said that a great landscape image should include topography, autobiography and a metaphor. And I find that a successful image needs to satisfy the eye, the heart and the brain. This means that an image is pleasing enough to draw people in, it should have an emotional tension to extend the reading towards an intellectual level. This is obviously a high call, particularly during the trips. At Y5 I travelled for 15 hours in the uninhabited zone, and only had 15 minutes to photograph. I could only rely on my ‘instinct’. I did not want to rely on one or two images, instead, I was always aware that the overall sum would be the most important. For most images I looked for a ‘structure’ to tell the story and to assist reading. For people I turned to photograph the ones who I respected, not the ones who would make a ‘great’ image. After all these considerations, I was in a fairly tight corner for making pictures. I think that the result could be improved a lot more. But this is what I can do now. This project is four years in the making - do you still feel connected with it like you once did or are you ready to let go? Recently I was invited to board one of the Yangtze Gold Cruises because they sponsored the touring exhibitions in China. While on the ship, I was looking at the passing landscape and wondered about what to photograph if some of the Y points fell on that mark. So I still feel connected, but I’m ready to let go. The distance I have again with China will help this reflection. How has England influenced your photographic work? Well, ‘England’ is very broad in terms of its influence on me and my photographic work. I received all my artistic and photography education in England. So my practice is really situated within the contemporary landscape photography in the UK, Europe and North America. (But my philosophy to understand life is shaped by both Chinese and Western cultures.) As stated above, England provided a strong historical reference for me to understand China. The photography practice here, from Toni Ray-Jones, to Jem Southam, to Mark Power, Simon Robert and Kate Mellor, all have relevance to my work. (Thomas Joshua Cooper is based in Scotland, but I admire his work too.) The ecology of photography in England, such as the institutions, education setting, industry and publishing all helped to shape my practice. How important is it that the exhibition tours across China? On the May 16, the first day that the Chongqing exhibition opened to the public, we bumped into an eighty-eight year old man in the museum lift. He murmured: “Mother River….I am coming to see the Mother River”. It turned out that he had read about the show in the paper and wanted to come and see it. After looking at the pictures, he was invited to choose his favourite. And he chose Y20, which depicted an elderly man standing in a room. I was almost in tears. The touring exhibitions are my modest contribution in the multi-layered understanding of current China along the river. On a personal, the shows are a career milestone because they are my first museum shows. They are also a great opportunity to reflect on the long project and on how to present it to the public. They are a test for my artistic capacity. I don’t think I have thought about this before. For me it’s not a ‘photographic’ one, but an ‘artistic’ one: if you already know the result and already know that people will like it, don’t bother making it. What’s next for you - an English-inspired project perhaps? Well, my life is entering a new chapter now: I have a small baby! An English-based project would be fantastic, so I don’t have to travel for months on end again. But I need some time to find one that’s challenging enough.